Mama loved music. She always loved to sing and was always a Broadway Baby. She'd sing at the drop of a hat. Okay who am I kidding? She'd sing with or without anyone dropping a hat. We took her to many Broadway shows and she loved every one of them. Sometimes I think she thought she was the star of the show. 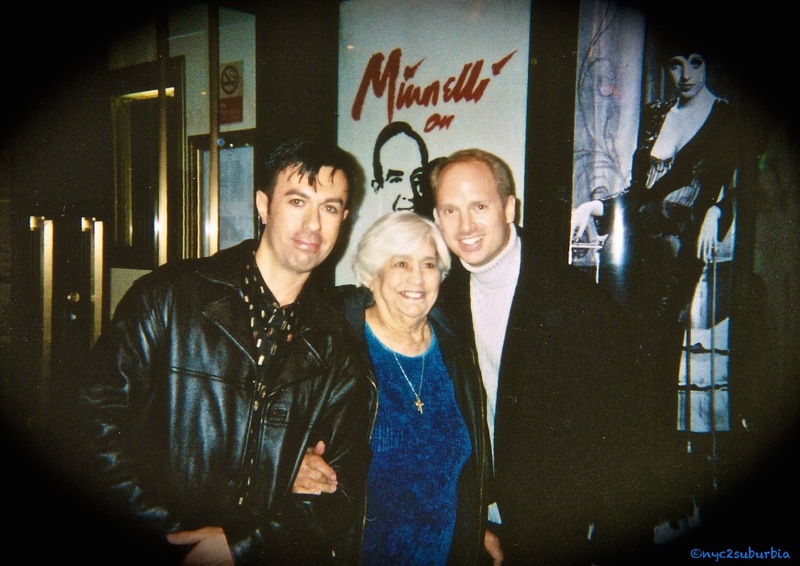 The last show we were able to take her to was "Minnelli on Minnelli" starring one of her favorites, Liza Minnelli. It was Liza's loving tribute to her father Vincente Minnelli saluting his movie musicals. He, like Mama, also suffered from Alzheimer's. Mama knew every song and sang along throughout the show. We were sitting close to the stage (of course) and at one point Liza looked at Mama as if to say "whose show is this lady?" I told Mama to put a lid on it and she did after rolling her eyes. 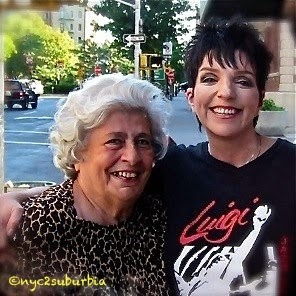 Almost a year after the show, Mama finally got to meet Liza and was in heaven. Liza was just what you'd expect - genuine and warm. She took the time taking pictures, telling stories and giving hugs. Mama told Liza that she named me after Liza's dad, Vincente... without the "E". They both laughed as Liza gave me a hug and called me "daddy." Mama was living in the nursing home then following a major operation and had just been diagnosed with Alzheimer's. 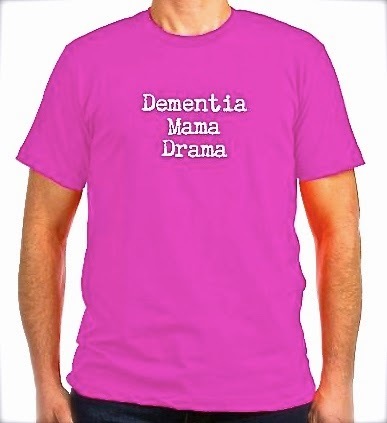 After all this drama, the music may have stopped for many, but not for Dementia-Mama-Drama! She sang up until the very end, always the "Broadway Baby". She forgot many things but vividly recalled meeting Liza and always remembered the words to her favorite songs. Here's a short video of Mama singing her version of "Give My Regards to Broadway." Mama was a trooper and knew that the show must go on. She was very excited that we were writing our play "Some of These Daze". After all it was all about her, she was finally the star. I swear it must've kept her going even when her body started to fail. But remember, Mama was always a Broadway Baby!